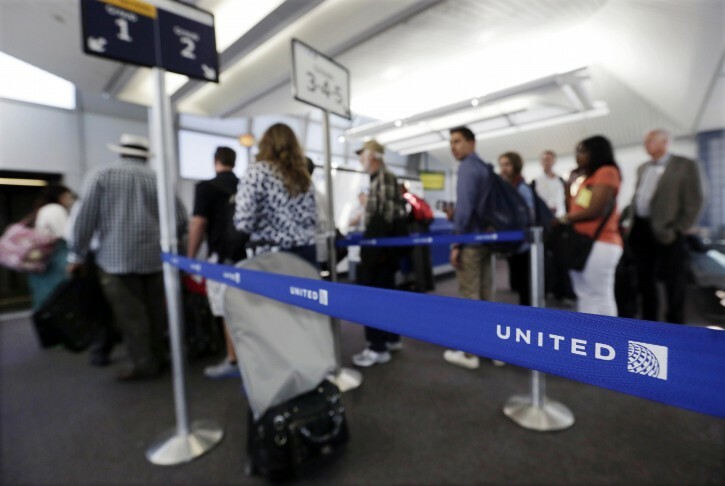 New York - United Airlines is trying to bring back a bit of the friendly skies, allowing families with young children to board early. The move, which takes effect Feb. 15., lets families with children age two and under get settled in their seats before the rush of other passengers clamoring for overhead bin space. United was the last holdout. It has forced families to board with everybody else since it revamped its boarding process in April 2012. Policies vary from airline to airline. Some let families skip in front of everybody while others let the first class and elite passengers onto the plane first, then give families a head start on the rest of the passengers. It’s a delicate balance. The airlines want to board passengers as fast as possible and take most of the pain out of the process. However, they also want to reward elite members by letting them settle in early. Additionally, airlines are making money selling early boarding directly to passengers or via credit card partnerships. Those who get on the plane first get a spot in the overhead bin for their bag; those who board last are typically forced to check their bags at the gate. Sandra Pineau-Boddison, United’s senior vice president of customers, says the move comes as part of a larger effort by the Chicago-based airline to be more attentive to passengers’ needs. It also helps the airline get a plane out on time. Having all the strollers gate-checked at once frees baggage handlers who later have to deal with storing carry-on bags under the plane because there is no overhead bin space left. — ALASKA AIRLINES: Families with children under two can board at the beginning of the process, before first class and elite customers. — AMERICAN AIRLINES: Families with children board before first class and elite members upon request only. The age is at the discretion of the gate agent. — DELTA AIR LINES: Families with car seats or strollers can board before first class and elite members. — FRONTIER AIRLINES: Families with children age three and younger board after the airline’s elite members and those who have paid for extra legroom but before the rest of the plane. — HAWAIIAN AIRLINES: Families with children under the age of two can board before first class and elite members. — JETBLUE AIRWAYS: Families with children under the age of two board after elite members and passengers in premium seats but before the rest of the plane. — SOUTHWEST AIRLINES: An adult traveling with a child six years old or younger may board during Family Boarding, which occurs after the “A’’ group has boarded and before the “B’’ group begins boarding. — SPIRIT AIRLINES: Families board after passengers who paid extra to board early and those who purchased space for a carry-on bag in the overhead bin. — UNITED AIRLINES: Starting Feb. 15, families with children age two and under can board before first class and elite members. — VIRGIN AMERICA: Families with young children can board after first class passengers, those in the extra legroom seats, passengers who paid for early boarding, those with elite status and those with a Virgin America credit card. They do get to board before other coach passengers.